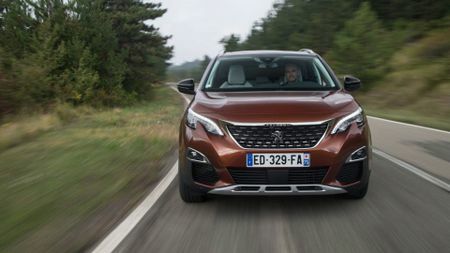 In terms of its practicality, its equipment and the way it drives, the Peugeot 3008 certainly has what it takes to be a real contender in the fiercely competitive compact SUV market. We still don’t know how much it’ll cost, and that’ll be key to its success. But, if Peugeot gets this bit right, the firm could have a real hit on its hands. The shape of things to come for Peugeot. 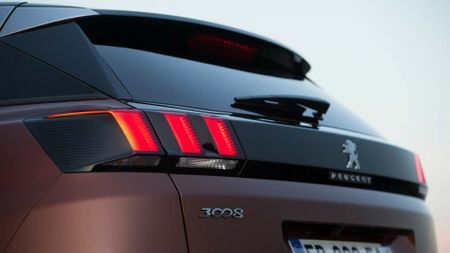 Not only does the 3008 display the company’s latest design direction that will, in the fullness of time, filter out to all models, it’s also one of several SUVs that Peugeot has announced in recent months in a very intentional push towards a jacked-up, beefy-bumpered future. 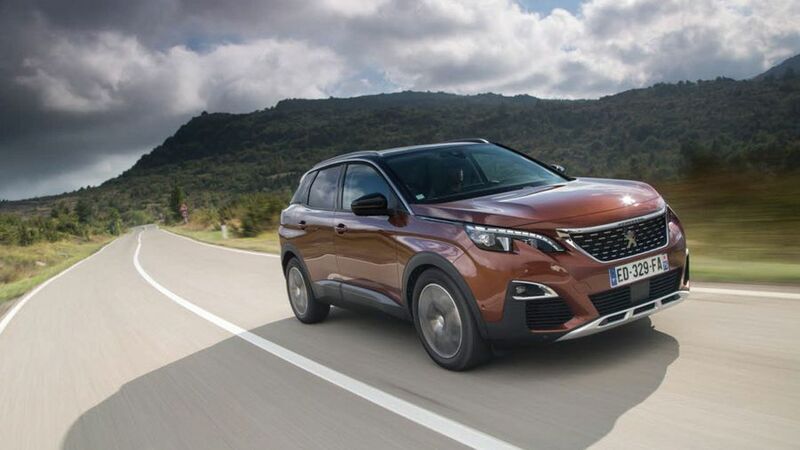 It’s certainly far more handsome than the awkwardly proportioned effort it replaces, with more conventional SUV lines and smarter details than on the previous 3008 crossover. 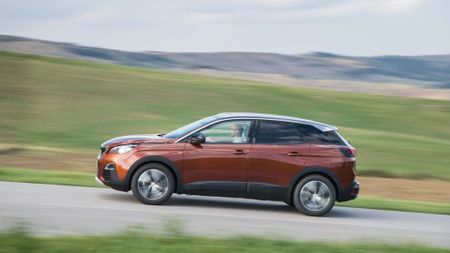 However, the looks will be something of a red herring to some, because while there’s no shortage of SUVs that are offered with front-wheel drive as well as four-wheel drive, the 3008 will only ever be available as a front-driver. Yes, a system called Grip Control – essentially a very sophisticated traction control system that maximises traction in difficult conditions – is available as an option across the range, but even so, you won’t be venturing too far into the wilderness. 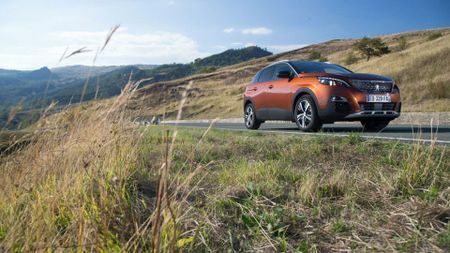 Instead, the 3008 relies on its plentiful technology, as well as its smart looks, to compete. 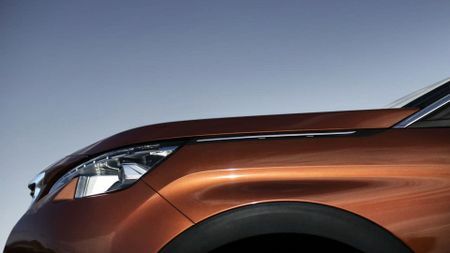 If you thought the 3008’s bodywork served up a generous dose of wow-factor, just wait until you open the door. The cabin’s contemporary design and sophisticated materials make it feel like a properly plush place to sit, and the huge digital dials, which come as standard on all models, give a very high-tech feel. 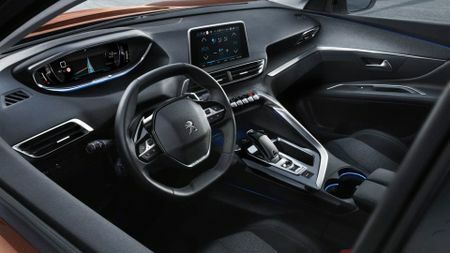 Like in other Peugeot models, you peer at those dials over the top of the tiny steering wheel rather than through it. But, because the dials are set higher than in other Peugeots, meaning you don’t have to set the wheel so ridiculously low, the driving position doesn’t feel anywhere near as awkward. The toggle switches in the middle of the dashboard that act as shortcuts for the touchscreen infotainment system also help improve ergonomics, but things are still far from perfect on that score. The system is slow to react, the interface is confusing and the screen is nowhere near sensitive enough, so you’ll find yourself jabbing a finger at an on-screen icon several times before your instruction is registered. Practicality, on the other hand, is very strong indeed. The rear seats have lots of headroom and legroom, allowing four tall adults to stretch out their long limbs. Life is even pretty comfortable for a fifth occupant thanks to a wide middle seat, decent shoulder room and a flat floor in the rear footwell. The boot is large and conveniently shaped, too, and thanks to an adjustable boot floor and rear seats that fold down in a clever way, you’re left with a completely flat load space. Take to the road, and thankfully, things stay positive. It’s neither the smoothest car of its type, nor the sharpest, but it provides a good blend of both abilities. The suspension has enough compliance to shield you from the effects of most badly surfaced roads, while there’s enough control to stop the body leaning over too much in bends. Grip and traction are also in plentiful supply, despite the fact that only the front wheels are powered. The steering, however, is less impressive. It feels utterly disconnected from the rest of the car, and it’s also a shade slow. Combine that with the tiny octagonal steering wheel, and it feels like you’re turning the car by whirling a fifty pence piece around and around. The turbocharged three-cylinder petrol engine we tried was more of a highlight, though. It has a surprising amount of punch from the middle of the rev range right to the top, so it’s capable of a very decent turn of pace. It’s flexible enough at the bottom of the rev range to keep life easy, but you will notice the engine struggle a lot more when you’re loaded up to the gunwales or facing a steep incline. It only becomes rowdy when you really work it, too, and because it usually operates in a smooth and quiet way, the engine contributes to a generally impressive level of rolling refinement. 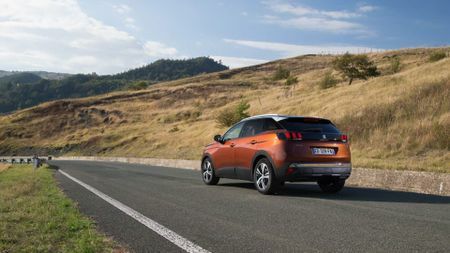 There’s no doubting that the 3008 is a very good car indeed, and all the more impressively, it’s seriously competitive with its best rivals in pretty much every area. That said, there’s still one very important area in which the car needs to impress, and that’s on price. And, because Peugeot have yet to release full pricing, we still don’t know if it does. The company are at pains, however, to point out the generous level of equipment that’s provided as standard throughout the range, and it is genuinely impressive. Even entry-level Active-grade cars will come with alloy wheels, automatic lights and wipers, climate control, rear parking sensors, a leather steering wheel, lane departure warning, automatic emergency braking and a DAB radio with Mirrorlink and Apple CarPlay. 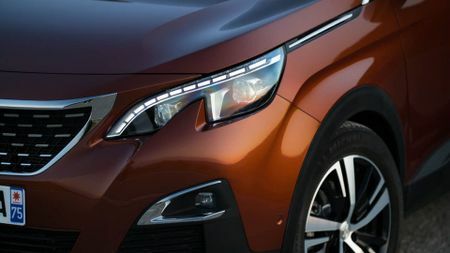 Allure cars add some styling enhancements inside and out, sat-nav, a 180-degree parking camera and a suite of extra safety systems, while GT Line cars add even more styling goodies, part-faux-leather upholstery, wireless phone charging and full LED headlamps. 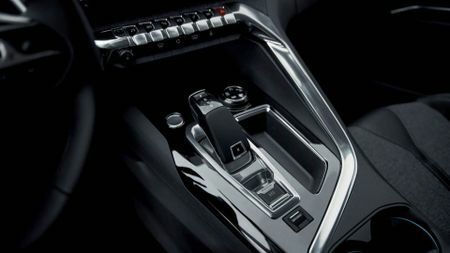 GT cars offer adaptive cruise control, keyless entry, a foot-operated powered tailgate and massaging leather seats. 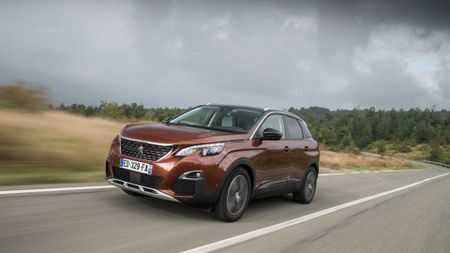 Even with kit this generous, though, Peugeot still needs to get the pricing right to attract buyers away from the very impressive array of midsize SUV rivals on offer. And, with the recent arrival of impressive cars such as the VW Tiguan and Seat Ateca, the competition has never been tougher.